A 600 lb Lucky Cat statue Maneki-Neko in Japanese stands outside a recycle shop in Funabashi Japan. The first time I saw the precocious and charming characture of a maneki neko was in the United States. It is commonly sold in Asian market places or shops that feature Japanese merchandise. The origin is Japanese but is often confused as being Chinese. The "bekoning cat" as it is literally translated stands inviting customers which translates to blessing or fortune for the shop owner. It is both whismical and captures the culture of superstition embeded in the minds of Japanese. The history of the Maneki-Neko goes back to the Edo period about 400 years ago. There are numerous legends and stories that account for the presence of this figurine in thousands of shops around the Japan. Superstitous beliefs in Japan are usually associated more with protection than anything else. 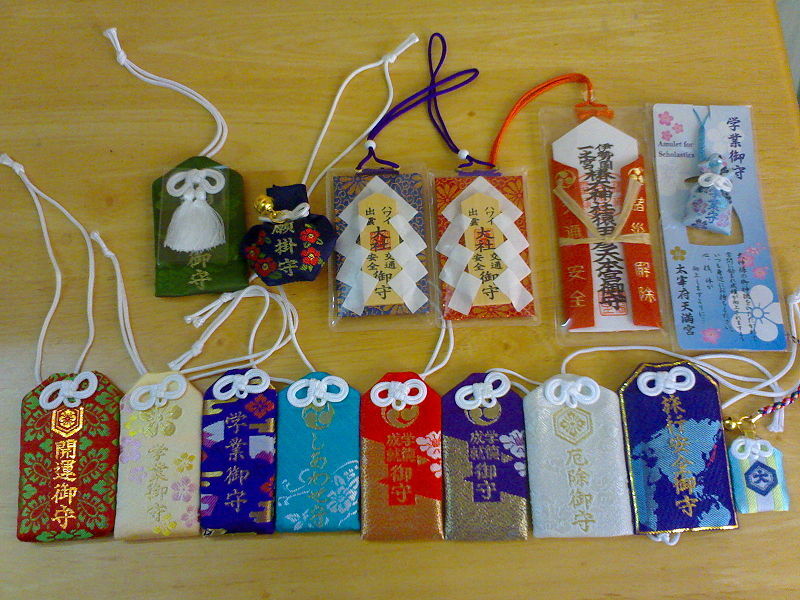 One example is that Japanese will spend hundreds of dollars a year for shaman blessed charms (Omamori) for car safety, health, business dealings, school, or general bad luck. 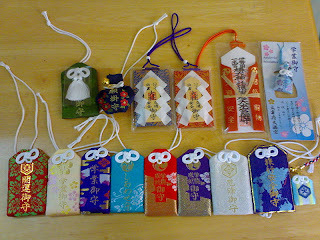 The Japanese try to cover themselves from as much trouble as they can and while there is no guarantee in charms they take comfort in having an item that tells them they are protected. The Maneki-Neko is different from other charms and amulets in Japan because it optimistically represents hope and blessing to come. Most Japanese find it cute and decorative rather than actually attributing any real power to it. Even though it represents a belief in power beyond that of human effort, the Japanese know that hard work is perhaps the most important part of success. That being said, to the Japanese there is nothing wrong with having a little more luck on your side.